I found an old photograph of my Grandparent's wedding. 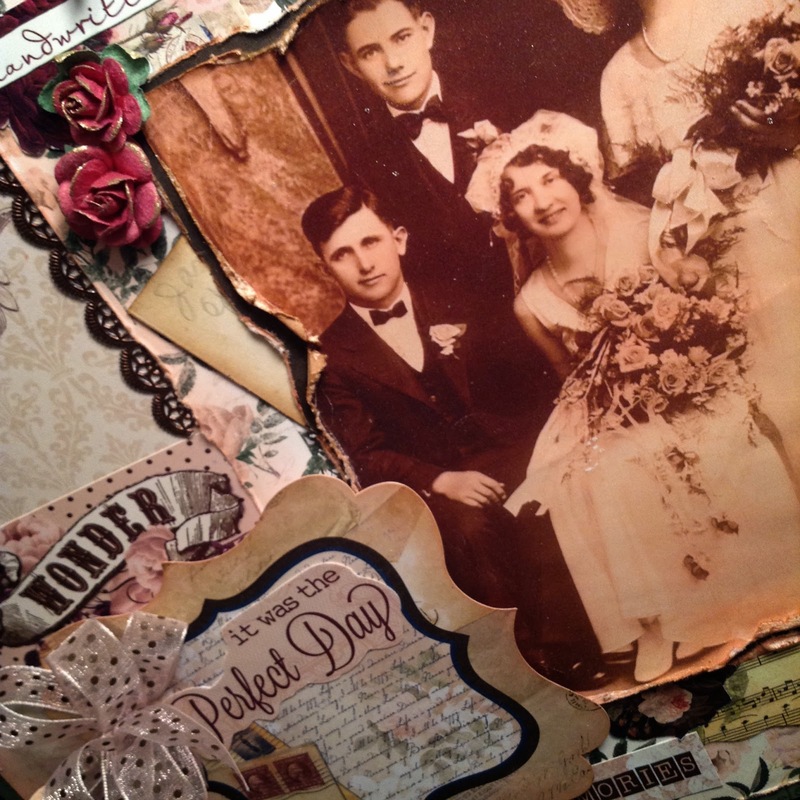 and decided that it would be a perfect picture to feature on a scrapbook page! 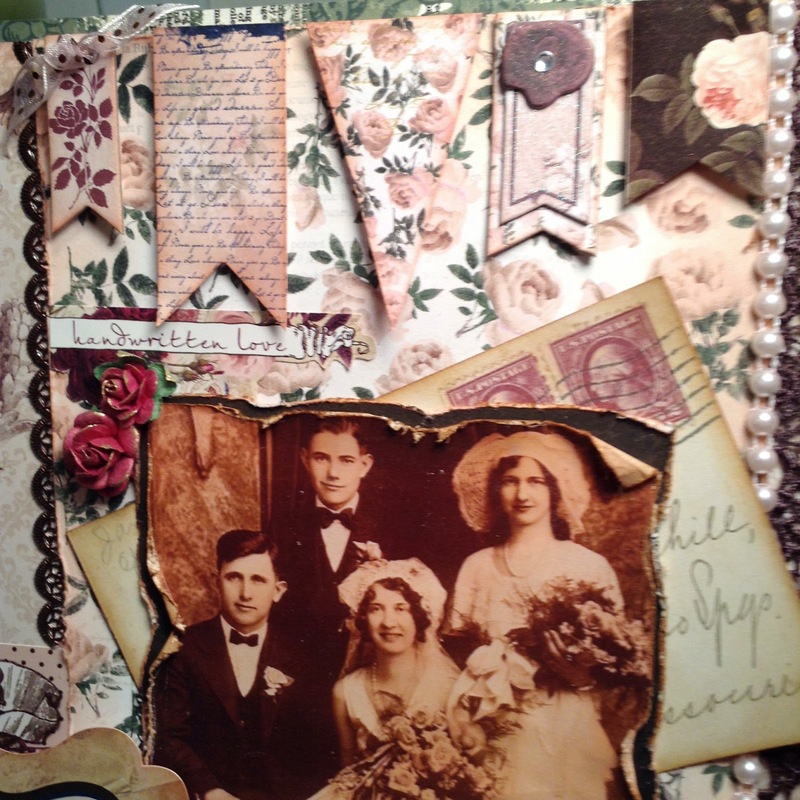 I love the romantic styles the women wore in the 1930's, and the patterned paper from Bo Bunny's Rose Cafe coordinated perfectly! With some pearl trim and vintage lace from my personal stash, I completed the look to create a one-of-a-kind heirloom piece I can one day pass on to my children and their families! I chose the Ephemera pack from Rose Cafe with all it's beautiful images and sentiments, and the layered chipboard banners in coordinating colors, to make this page look just right! your family will treasure for years to come!